¿ Anestesia local o general? Helena Benito Naverac FEA de Anestesiología y Reanimación. Hospital Clínico Universitario Lozano Blesa de Zaragoza. Several times draining the chronic subdural hematoma is made by burr holes. This procedure is more likely to be approached under local anesthesia and sedation. In this article several questions posted by anesthesiologists on call are answered. - Yad R. Yadav, Vijay Parihar, Hemant Namdev, Jitin Bajaj. Chronic subdural hematoma. - Vinod Bishnoi, MD,* Bhupesh Kumar, MD, DM,* Hemant Bhagat, MD, DM,* Pravin Salunke, MS, MCH,w and Sonika Bishnoi, DAz. Comparison of Dexmedetomidine Versus Midazolam-Fentanyl Combination for Monitored Anesthesia Care During Burr-Hole Surgery for Chronic Subdural Hematoma. 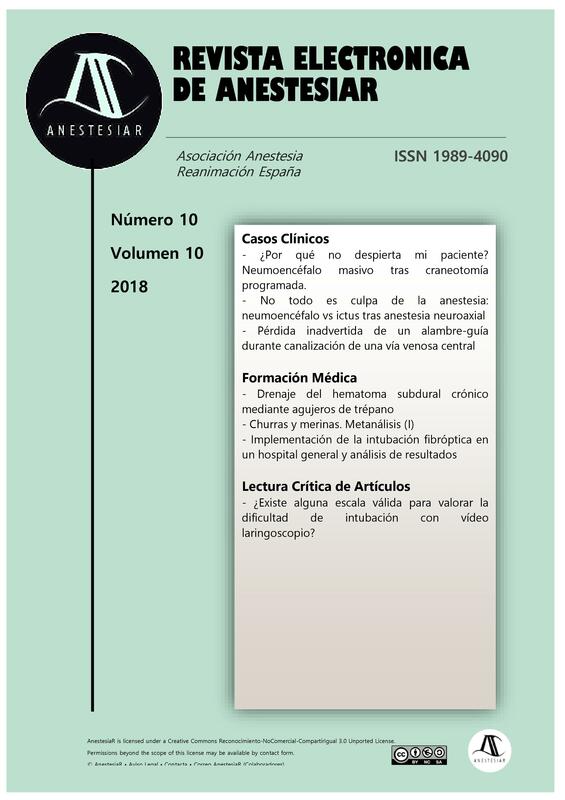 J Neurosurg Anesthesiol. Volume 28, Number 2, April 2016.